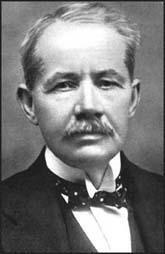 John Williams Benn, the son of Julius Benn and Ann Taylor, was born in Hyde near Manchester in 1850. He was named after John de Kewer Williams, the Congregational minister who converted Julius Benn to Christianity. In 1851 the family moved to London after Julius and Ann were offered work at the London City Mission in Stepney. The couple eventually opened the Home in the East, an institute for homeless boys in the East End of London. The Home in the East was so successful that in 1856 Julius Benn was invited by the government to take charge of the first Reformatory and Industrial School in Britain at Tiffield in Northamptonshire. Benn was asked to resign after five years at Tiffield when it was discovered that he was heavily in debt after investing unwisely in a company that produced agricultural equipment. The family moved back to London where Julius Benn became a missionary with the East London Congregational Evangelistic Association. With a salary of only £100 and with a family of eight children, it took Benn seventeen years to pay off his debts. John received little formal education and was mainly taught at home by his parents. As the eldest child, John was expected to contribute to the family income. He started a part-time stamp-business and by the time he was fourteen he had made a profit of £80. In 1867 John was employed by T. Lawes & Co, a wholesale furniture company. He initially worked as a office clerk but later began designing furniture for the company. By 1873 he had married Lily Pickstone, a distant relative of Josiah Wedgwood, and was earning £300 a year as designer and manager of what was now known as Lawes Randall & Co. Over the next few years the couple had six children, including two who were later to become national figures, Ernest Benn and William Wedgwood Benn. After visiting the Art and Industrial Exhibition in Paris in 1878, Benn wrote an article about what he had seen. He sent the article to The Furniture Gazette. Benn was so disappointed when the editor rejected the article that he decided to establish his own trade journal. With his life-savings of £800, John formed the publishing company Benn Brothers. The first edition of The Cabinet Maker, an illustrated monthly journal dealing with the artistic and technical aspects of furniture, first appeared in July 1880. After a slow start it gradually established itself as the main journal for the furniture trade in Britain. While running the business, John Benn was involved in charitable work in London. William was deeply influenced by his father's attitude to the poor. He recalled how on one occasion they were walking to chapel when they saw a man carrying a placard that said: "I have suffered a great injustice". Turning to his son, John remarked, "Will, I have suffered many injustices. Let's give him a couple of shillings." In 1883 John's brother, William Benn, suffered a mental breakdown shortly after marrying Florence Nicholson. He became a patient at the Bethnal House Asylum and after six weeks his doctors recommended that he be taken home. Julius, who was now the pastor of the Gravel Lane Congregational Meeting House in Wapping, decided to take his son for a holiday to Matlock Bridge in Derbyshire. On 26th February 1883, while Julius was sleeping, his son killed him with a single blow to the head with an earthenware chamber-pot. Afterwards, William tried to kill himself by cutting his throat. William was not charged with murder and instead was locked away in a lunatic asylum. The London County Council (LCC) was created in 1889 as a result of the 1888 Local Government Act. The LCC was the first metropolitan-wide form of general local government. 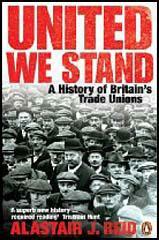 A group of Liberals and leaders of the Trade Union movement in London got together and formed the Progressive Party. John Benn accepted the invitation to stand as the progressive candidate for East Finsbury. Elections were held in January 1889 and Benn and his fellow members of the Progressive Party, won seventy of the 118 seats. The new council met under the chairmanship of the Earl of Rosebery. Members of the ruling group included Sidney Webb (who became chairman of the Technical Instruction Committee), Will Crooks (chairman of Public Control Committee, John Burns and Ben Tillett. On the London County Council Benn became a strong advocate of the municipal control of London tramways. 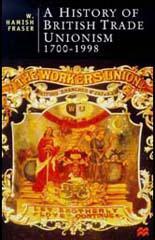 In 1889 John Benn also became involved in the successful London Dock Strike. Later William Wedgwood Benn recalled how Tom Mann, John Burns and other strike leaders had breakfast in the house after addressing members at open-air trade union meetings. In 1891 John Benn was told that his brother, William Benn, had fully recovered from his mental illness. Benn now approached Henry Matthews, the Home Secretary, and promised to be personally responsible for his brother if he was released. Matthews agreed and after nine years in an asylum William joined his wife at home in Balham. It was decided to change his name to William Rutherford. The following year Florence Rutherford gave birth to a daughter, Margaret. Many years later Margaret Rutherford was to become one of Britain's leading stage and screen stars. In March 1891 Benn was adopted as the Liberal Party parliamentary candidate for Wapping. The sitting member was C. J. Richie, the President of the Board of Trade, in the Conservative administration headed by the Marquess of Salisbury. In the 1892 General Election Benn defeated Richie by 398 votes. In the House of Commons Benn's concentrated on the issue of public transport. In 1894 Benn visited America with John Burns where the two men studied how different cities were organising their transport facilities. After Benn's election to the House of Commons he ceased to be active in the family publishing business. His eldest son, Ernest Benn, now became managing director of Benn Brothers. He increased the number of trade journals the company published. Later, he was to change the name of the company to Ernest Benn Ltd and expanded into art books and novels. After entering the House of Commons Benn retained his seat on the London County Council. John Benn lost his seat in the 1895 General Election to the Conservative candidate, Harry Marks, by four votes. Benn was unhappy about the way Marks had behaved during the campaign and decided to petition under the 1883 Corrupt and Illegal Practice Act. He claimed that Marks "before, during, and after the election" had been "guilty of bribery, treating, undue influence, and of aiding, abetting, counselling and procuring the offence of impersonation". Benn lost the court case held in February 1896 and as a result had to pay legal costs of £6,000. The judge ruled that Benn could not be a candidate for the Wapping constituency for seven years. Benn was determined to return to the House of Commons and in 1897 he became the Liberal candidate at a by-election at Deptford. Howard Marks, now used his recently acquired newspaper, The Sun, to campaign against Benn. Although Benn reduced the size of the Conservative majority, he was defeated by 324 votes. For the next seven years John Benn concentrated on his work on the London County Council. As Chairman of the Highways Committee, Benn pioneered the idea of a cheap, efficient and integrated municipal transport system. In 1903 Benn was responsible for the introduction of London's electric tramway. It was not until a by-election at the dockyard town of Devonport in 1904 that Benn was able to return to the House of Commons. In the 1906 General Election Benn retained his seat. He also had the satisfaction of being joined in Parliament by his twenty-eight year old son, William Wedgwood Benn, who won his father's old seat at Wapping. John Benn was defeated in the January 1910 General Election and failed to win at Clapham in December 1910. Benn, who was created a baronet in 1914, made no further attempts to return to the House of Commons and for the next few years led the Progressive Party on the London County Council. He resigned as leader after being struck down by pneumonia in February 1918. The following year Benn became a supporter of the Liberals in Parliament who opposed David Lloyd George returning as leader of the party. The group led by William Wedgwood Benn, became known as the Wee Frees, a name was given to them by John Benn. The Wee Frees had been a small group of Free Church of Scotland members who refused to accept the union of their church with the United Presbyterian Church. John Benn, remained a member of the London County Council until his death on 10th April, 1922. (1) In the early 1880s John Benn gave over a thousand lectures on a wide variety of different subjects. He later recorded in his journal why he spent so much time doing this. I never regarded this platform work as more than an artistic sheet anchor and an accessory, but it brought me into contact with some of the most interesting men of the day, ranging from the Earl of Shaftesbury to the Rev. C. H. Spurgeon. It gave me a practice in public speaking which few men can get in private life. (2) In his unpublished memoirs, Joys of Adversity, John Benn recalled his parliamentary election campaign in 1892. Because of the work my father had done, there was a friend in every alley, and a welcome in every court. "This young man", said my opponents, "had no supporters among the respectable people in the leading thoroughfares." My reply was, "I aspire to the honour of being the member for the back streets". I had seen sufficient of overcrowding and house-farming in the district of Cable Street to lead me to favour improved sanitary laws and better homes for the working-classes. 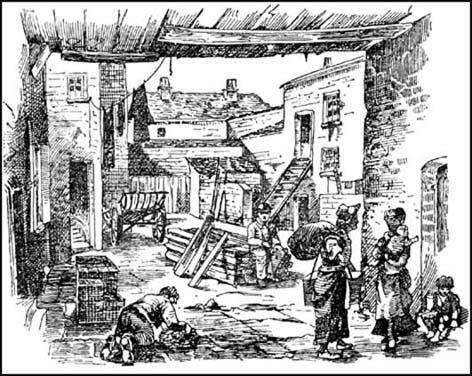 My knowledge of common lodging-houses, and personal experiences therein, led me to plead for the erection of poor men's hostels by the County Council. An acquaintance with the ins and outs of a business in which sweating is not, alas, unknown, prompted me strenuously to favour the cause of trade unions. There is no one man in the London County Council who dominates the organisation. The LCC is really run by various groups of county councillors circulating round the three officials - the chairman, vice-chairman and deputy chairman - of the Council. Of these the most prominent are the group who direct the parliamentary and political policy of the County Council - Frank Costelloe, Sidney (Webb) and John Benn. (4) Herbert Asquith sent a letter of condolence to William Wedgwood Benn when he heard about the death of his father. I have a vivid memory of your father in the early County Council days, when we have often stood on the same platform and fought for the same causes. That is a long time ago - measured by the mechanics of the calendar; but he never seemed to grow older, and was among all the public men I have known the one whom I should select as the incarnation of perennial youth. It is a splendid and rare gift to live and fight, and work and die, with an undiminished faith in great ideals; and that gift was his. (5) William Wedgwood Benn wrote about his father after his death in 1922. It is no easy task to dissect our family life and describe my father's share in it. We are all so knit together and his influence (and my mother's too, for to us, as to themselves, they seemed one) and something inseparably essential and pervasive. My father was first a man of feeling, next a tenacious man. These are the ingredients of the fighter. They ripened with experience into those wise, yet forceful qualities which made him a natural guide and protector. With him, this posture of responsibility and defence came all too early. From adolescence, even from childhood, he was a high tower to his parents and his brothers in the struggles and tragedies of their lives. To his own children, on their much easier road, he was a guardian companion. He fought mightily for the welfare of our vast population, and with a wisdom that gave full sway to spiritual as well as material conditions. The Christian conception of citizenship has had no finer exemplification in my time, and the results of his labours will enrich millions for years to come.